what’s the point?” — Joy Fawcett. Like a lot of folks these days, I’m loving the story of the American Women’s World Cup soccer team. My family took time out from a gorgeous, lakeside day to watch the USA Women defeat Brazil in one of the great comebacks in the history of American sports. Yesterday I ditched work to catch glimpses of the USA victory over France in the Semifinals. This Sunday, the USA takes on Japan in the Finals, and I’ll be glued to the screen, rooting for this team. 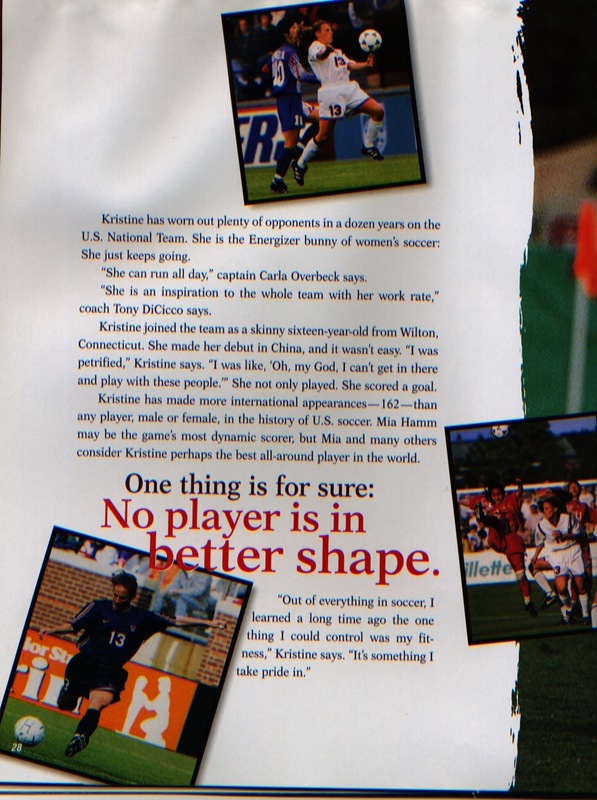 Back in 1999, I packaged a book for Scholastic titled, Meet the Women of American Soccer: An Inside Look at America’s Team. By “packaged,” I mean that I functioned as a mini-publisher. I was given a budget, worked as an editor, hired a writer (Wayne Coffey), a designer (Michael Malone), and through a publishing arrangement enjoyed full use of the photos taken by Michael Stahlschmidt. 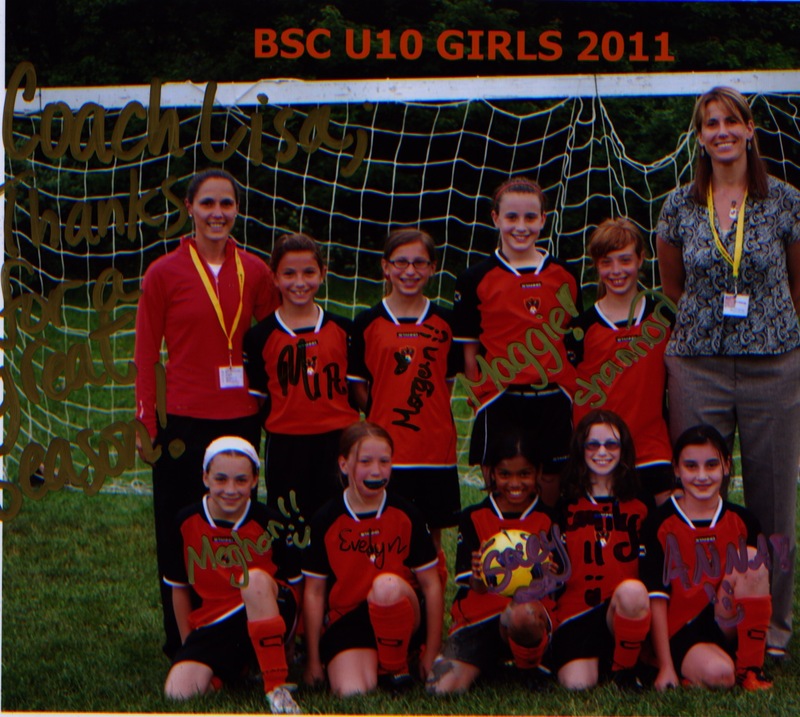 That was a team for the ages, an inspiring collection of charming, talented, intelligent young women: Mia Hamm, Carla Overbeck, Julie Foudy, Kristine Lilly, Tiffeny Milbrett, Shannon MacMillan, Michelle Akers, Joy Fawcett, Brandi Chastain, Briana Scurry, and more. I loved the way the book turned out. There were limitations, of course. The book was only 48 pages, and designed as a photo essay with ever-so-brief profiles of key players. 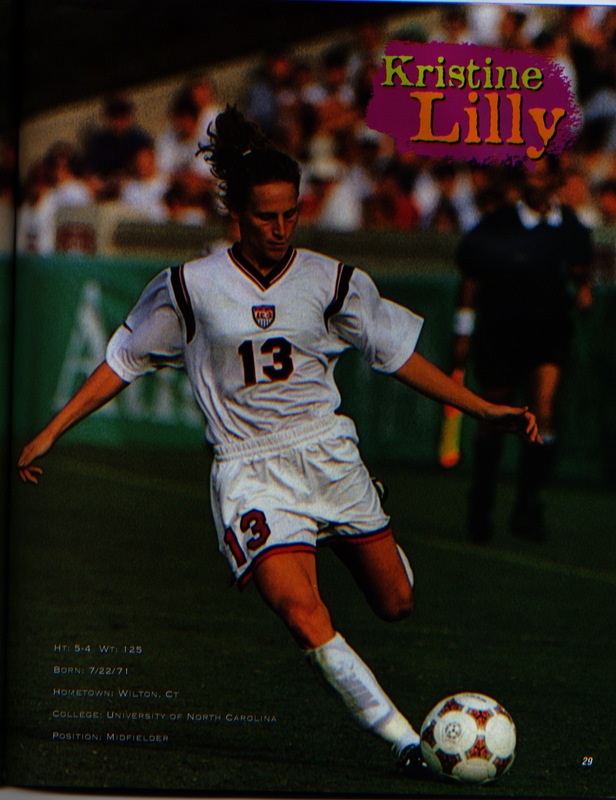 I came to respect these women so much, and in the process, from the safety of my desk, maybe developed a slight crush on #13, Kristine Lilly. Didn’t you hear? Athletic is the new skinny. In a sports-minded family — both my wife and I coach, and our kids participate in many sports — we sometimes despair over the state of youth sports. At times we’ve felt discouraged and disheartened, and have questioned why we bother. Are we wrong to spend so much time on sports with our children? Each year we see more insanity, more mean-spirtedness, and it gives us pause. Have we done our kids a disservice by putting too much emphasis (time, energy, passion, money) into their sports activities? To be clear, we aren’t delusional about their talents. We don’t look at our kids as the next Derek Jeter, the next Mia Hamm. But we all enjoy sports, love to play, love to be on teams, love the games. We believe in being busy, being healthy and strong, inside and out. And then there’s a team like the 2011 USA Women’s World Cup team, that celebrates the beauty and possibility of sport, and we fall in love all over again. Go USA, good luck on Sunday. We’ll be rooting for you, Christie Rampone, Shannon Boxx, Carli Lloyd, Ali Krieger, Lauren Cheney, Heather O’Reily, Megan Rapinoe, Abby Wambach, Hope Solo and all the rest of you in red, white, and blue. You’ve helped restore in us a little faith in sport. 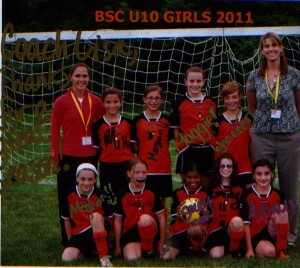 The team below has helped, too, especially the tall girl, center in the back row, my Maggie.